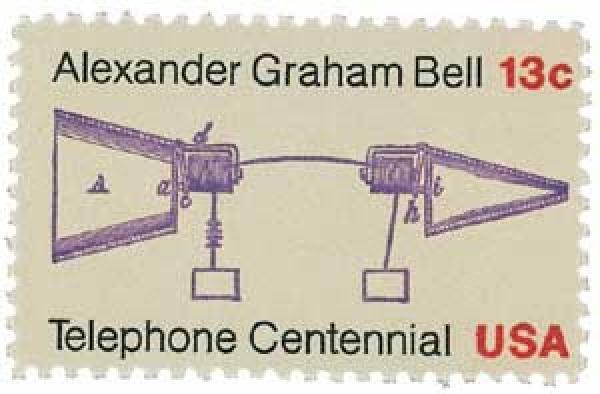 U.S. #1683 was issued for the 100th anniversary of Alexander Graham Bell’s first phone call. On January 7, 1927, men in New York and London staged the first official telephone call across the Atlantic Ocean. The conversation was over 50 years in the making. Some of the earliest experiments in telephone technology date back to the 1860s. Alexander Graham Bell first patented his telephone design in 1876 and the first telephone exchange was established in Hartford, Connecticut the following year. 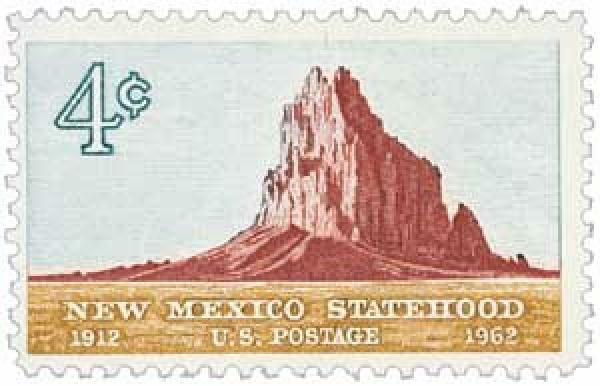 U.S. #1191 – Issued for New Mexico’s 50th anniversary, this stamp pictures the “Shiprock” rock formation. On January 6, 1912, New Mexico was admitted to the Union. Native Americans may have lived in New Mexico 20,000 years ago. Ancient spearheads found around Folsom and other sites indicate that Indians hunted there at least 10,000 years ago. The Mogollon Indians lived in the valleys near the New Mexico-Arizona border from about 500 B.C. to 1200 A.D.
U.S. #834 from the popular Prexies. 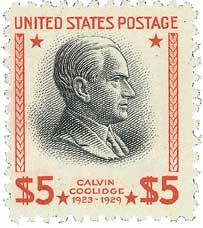 John Calvin Coolidge Jr. was born on Independence Day in 1872. He spent his early years in the New England town of Plymouth Notch, Vermont. When Coolidge was 19, he enrolled in Amherst College in Massachusetts. While there, an essay he submitted to a contest sponsored by the National Society of the Sons of the American Revolution won a gold medal. In his senior year, Coolidge was chosen by his classmates to deliver the Grove Oration, a humorous speech given at graduation. 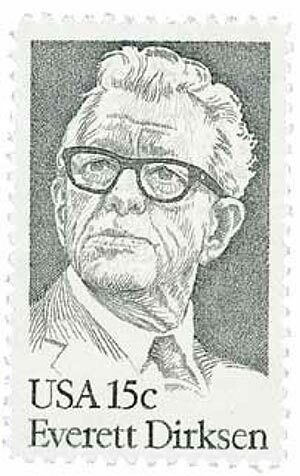 U.S. #1874 was issued on Dirksen’s 85th birthday. Born to German immigrants, Dirksen had a fraternal twin and another brother. His father died when he was just nine years old. The Dirksen family farm was on the outskirts of Pekin in an area known as Beantown, because they grew beans instead of flowers. U.S. #PS1 – The first Postal Savings Stamp. On January 3, 1911, America issued its first Postal Savings stamps. 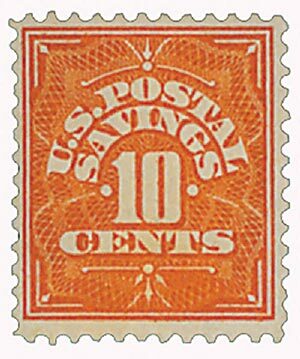 Calls for a postal savings bank in the United States date back to 1871. At that time, Postmaster General John A.J. Creswell suggested such a system, similar to the one started in Great Britain in 1861, to help raise money for a postal telegraph network. 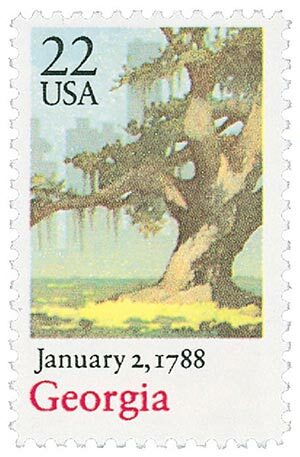 U.S. #2339 was issued for Georgia’s 200th anniversary of statehood. On January 2, 1788, Georgia was the fourth state to ratify the U.S. Constitution, making it our fourth state.